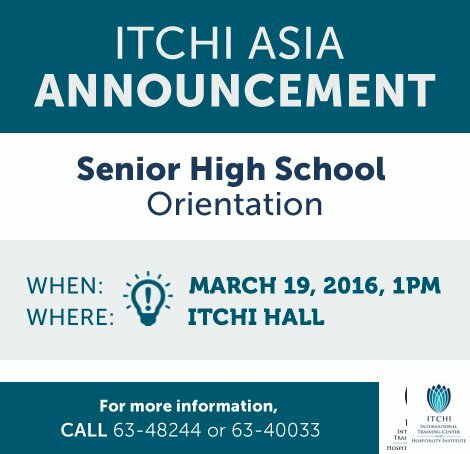 ITCHI-0Asia will be having a Senior High School Orientation on March 19, 2016, Saturday at ITCHI Hall. 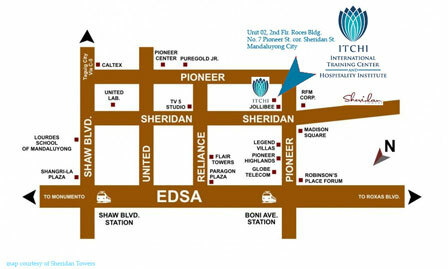 Enrollees and candidates will be briefed on the basics of Senior High School. For questions and inquiries, please contact us at 63-48244 or 63-40033.